Rules to follow for successful indoor audio. 1. Don’t set up too many speakers. This will cause echoes, dead spots and oddball reflections. Remember, the presenter is not a stereo sound source. Use only enough speakers to cover the area. Be aware of the coverage with just one speaker. Aim the speakers to cover the crowd without too much overlap. This is very important as the size of the area increases. 2. 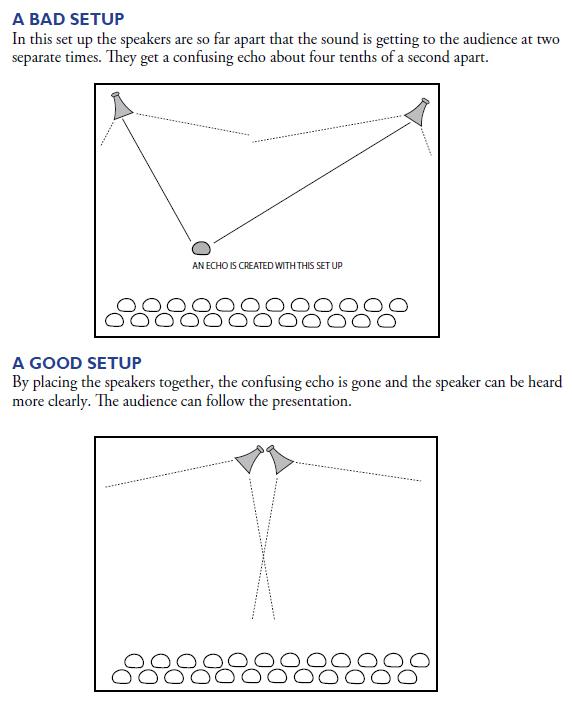 Use full range speakers for small groups, horns for larger auditoriums. Remember that too much bass will cause a great deal of “boominess” towards the back of the room. That’s great for rock and roll but will be counter-productive where you are trying to sell fine antiques. 3. Elevate the speakers if possible. This will stop the feedback from reflected sound bouncing off the front row and help the folks in the back row hear better. 4. Ring out the system before your event – turn on our sound systems and find out how high you can turn your system with all microphones on (open) before feedback. Turn up the volume while talking until you start hearing a faint ringing sound. Back off the volume a bit and mark that spot on the control. Then, when the event starts, you know where the maximum point is. Remember that the presence of the crowd can affect the actual final point. If you know the limits before you start, the better off you will be. 5. Don’t try to use too many microphones. Every time you double the number of open microphones in the system, you will have to reduce your amplification by 3dB (half as loud as before). 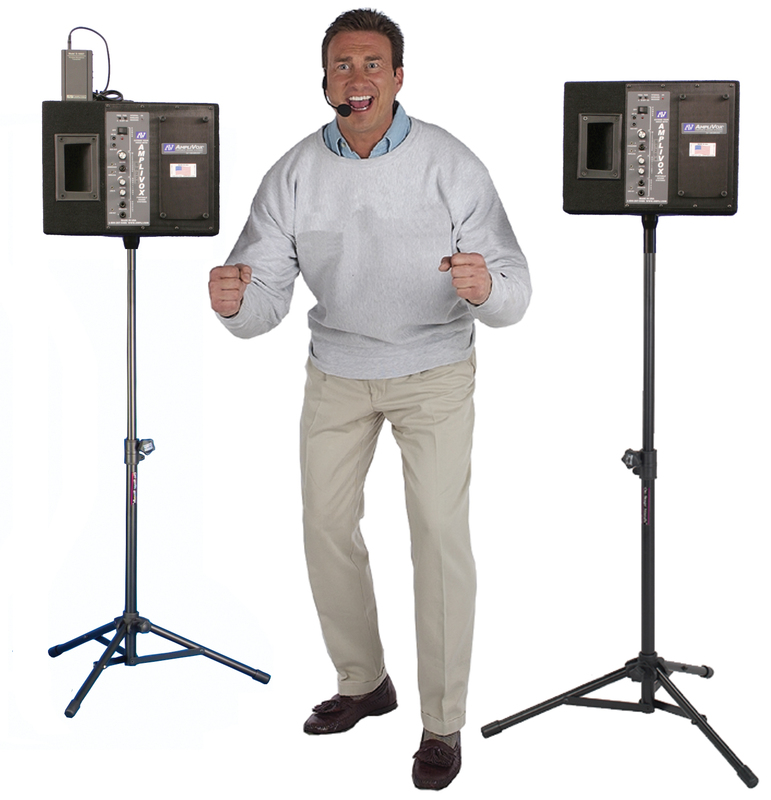 For most events 2-3 microphones should be all you need active at any time. 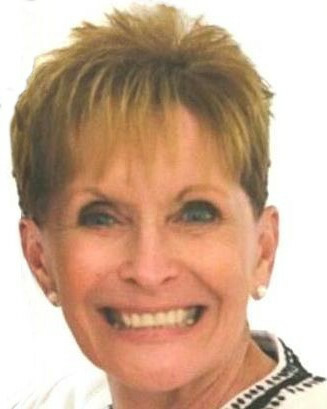 larger indoor spaces, such as warehouses, you can have problems with time delays and echoes similar to those described in the next section, outdoor installations. 1. Keep the microphone as close as possible to the presenter. 2. Set the speakers away from you. Don’t put them too far away or you will get long delays where you say something and the sound is heard ½ to 2 seconds later. Working in an echo chamber is no fun and confusing to the crowd. the sound from the second speaker, 225 feet away, won’t get to him until ¼ second later. He hears a confusing and annoying echo. Since he can’t understand the presentation, you have lost your customer and a potential sale. 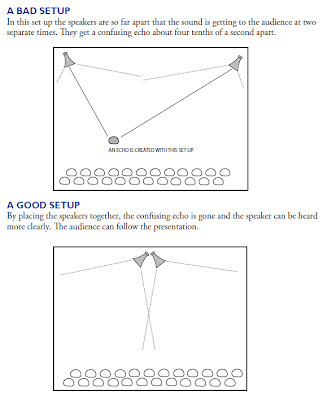 In this set up the speakers are so far apart that the sound is getting to the audience at two separate times. They get a confusing echo about four tenths of a second apart. more clearly. The audience can follow the presentation. 4. Watch which way the wind is blowing. It can blow sound around and interfere just as well as hats, litter and certain species of small dogs. Take advantage of this if you can by pacing speakers upwind if it looks like a windy day.